If you’re headed to downtown St. Louis and the Dogtown neighborhood in St. Louis on Saturday, Metro makes it easy for you to enjoy all of the fun and festivities without worrying about navigating street closures, dealing with traffic and finding a place to park. The 34th Annual Ancient Order of Hibernians St. Patrick’s Day Parade kicks off at 10 a.m. on March 17 in the Dogtown neighborhood, and is immediately followed by an outdoor Irish Festival. The parade runs along Tamm Avenue between Oakland Avenue and Manchester Road. The #90 Hampton serves Hampton Avenue and the #59 Dogtown serves Oakland Avenue, both just a couple blocks east of Tamm Avenue. 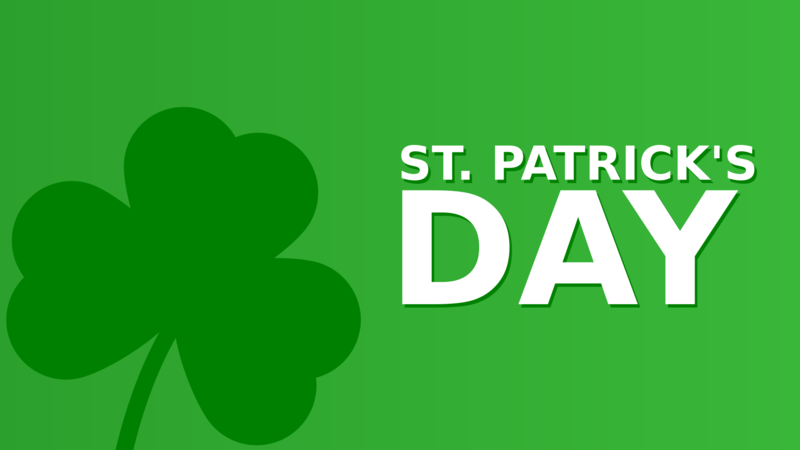 Please note the #31 Chouteau and #59 Dogtown will have detours on Saturday, beginning at 10 a.m., due to St. Patrick’s Day activities. The St. Patrick’s Day Parade in downtown St. Louis kicks off at 1 p.m. at Market and 20th Streets on March 17. The St. Patrick’s Day Run begins at 9 a.m. that morning at the intersection of Broadway and Walnut Street. Park for free at any one of 21 Metro Park-Ride lots in Missouri or Illinois, and take MetroLink to one of four MetroLink stations near the festivities. The Stadium and 8th & Pine MetroLink Stations are both a few blocks from the St. Patrick’s Day Run starting line, and the Union Station, Civic Center, Stadium and 8th & Pine Stations are all within two to three blocks of the Market Street parade route. MetroBus is also a great option for getting to the parade downtown on March 17. Ride on any one of more than 15 MetroBus routes to the Civic Center Transit Center, and walk a couple blocks north to the parade route on Market Street. To plan your trip to St. Patrick’s Day parade festivities in downtown St. Louis or in Dogtown, download the Metro On the Go app to your mobile device, use the schedules or online Trip Planner, or contact Metro Transit Information at 314-231-2345 or 618-271-2345, available Monday through Friday from 7 a.m. to 6 p.m.
Before planning their trips on Metro Transit, check the Rider Alerts section for specific details of each reroute, or contact Metro Transit Information.